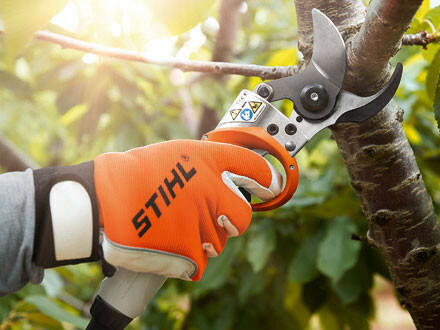 Precision, high cutting speed, energy-saving ergonomics, sustained battery performance, easy maintenance and long service life: The new cordless STIHL ASA 85 pruning shears have everything needed for professional use. Main applications include pruning and care in gardens, parks and tree nurseries as well as in vineyards and orchards. 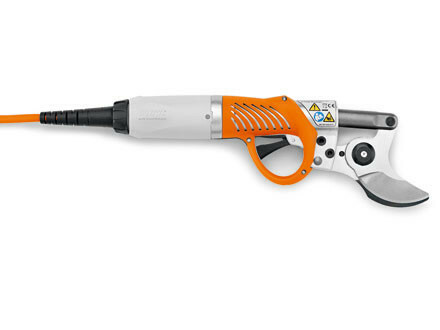 The ASA 85 is a highly-precise power tool that guarantees clean cuts of branches up to 45 mm in diameter. The different opening widths of the blade can be easily selected electronically. Even intensive cutting jobs through hard timber are less tiring using this tool, whilst still maintaining the same high standard of quality – if necessary for eight hours at a time. 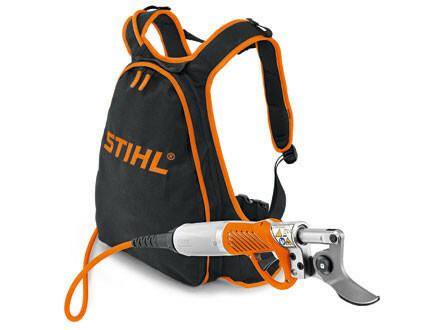 This is the time that the lithium ion battery STIHL AP 180 is able to deliver full power. The cordless AP 180 provides sufficient power for full-day use. 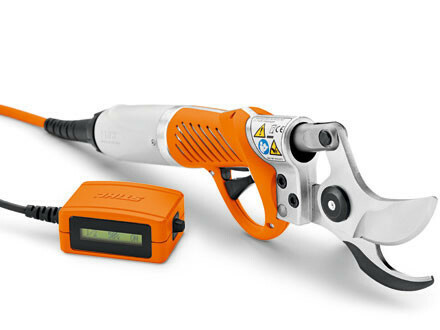 The ASA 85 can however also be used in conjunction with all other batteries from the STIHL battery system. Consistently aligned with the needs of professional users, the STIHL ASA 85 converts its force quickly and precisely in branches with a diameter up to 45 mm. If the diameter is smaller, users can reduce the opening of the cutting head electronically to 70, 60 or 50 percent. This saves working time and battery power. Simply double-click the trigger switch to return to a fully opened blade. The electronic control unit operates the tool. The two cutting modes Pulse and Proportional cut are also set here. In proportional cut mode, the blade movement follows the position of the lever proportionally – for maximum cutting control. 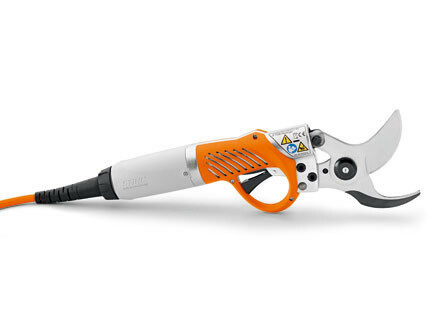 In pulse mode, the blade closes immediately after the lever is activated – similar to pneumatic pruning shears. The carrier system for the battery is carried with as much comfort as a backpack. Its optimum weight distribution takes the strain off the back muscles and conserves energy during long periods of use. The control unit is hooked onto the hip belt and is therefore always ready to hand. Acoustic signals indicating the operating status assist safe handling. 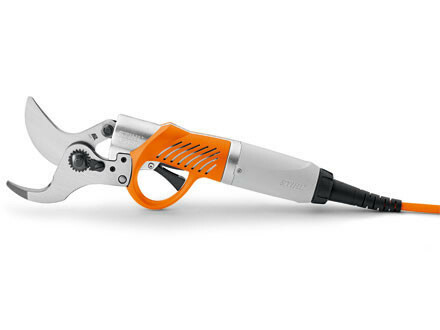 The ergonomically shaped handle of the shears and guiding of the connection cable close to the body assure trouble-free and efficient operation. 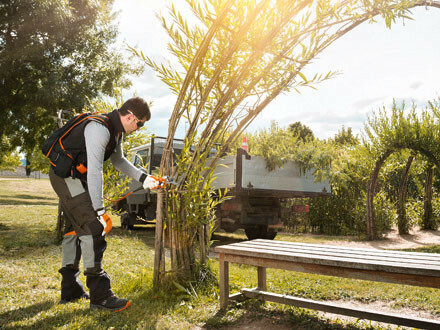 The new STIHL ASA 85 is easy to use by both right and left-handed persons. Practical: If other jobs crop up in the meantime, simply place the pruning shears into the holster around your left or right leg. The play of the blades of the STIHL ASA 85 can be precisely adjusted via the adjusting nut and wrench. This provides the high-quality cuts that professionals come to expect. The overlap of the blades in Service mode can also be incrementally adjusted electronically. Maintenance and replacement of the blade are realized with a minimum of effort. Made of aluminum, the housing provides optimum protection of the interior against dirt, thereby increasing its service life.